Introduction: James I’s behaviour, during his short reign as an adult king of and in Scotland, was very much influenced by his queen Joan Beaufort. She helped him negotiate the intricacies of international relations in the central years of the Hundred Years War. Furthermore Joan acted as a calming influence on her husband who was famous for his short temper. He was born in 1394, the son of Robert III and Annabella Drummond. By the time James was eleven his father had a desire to see him in France where he could be educated and ‘quhare he mycht eschew all tressoun devisitt againis him’. Robert thought that he could then return to his homeland when he was of age in greater safety and able to govern his kingdom ‘the more wisely’. 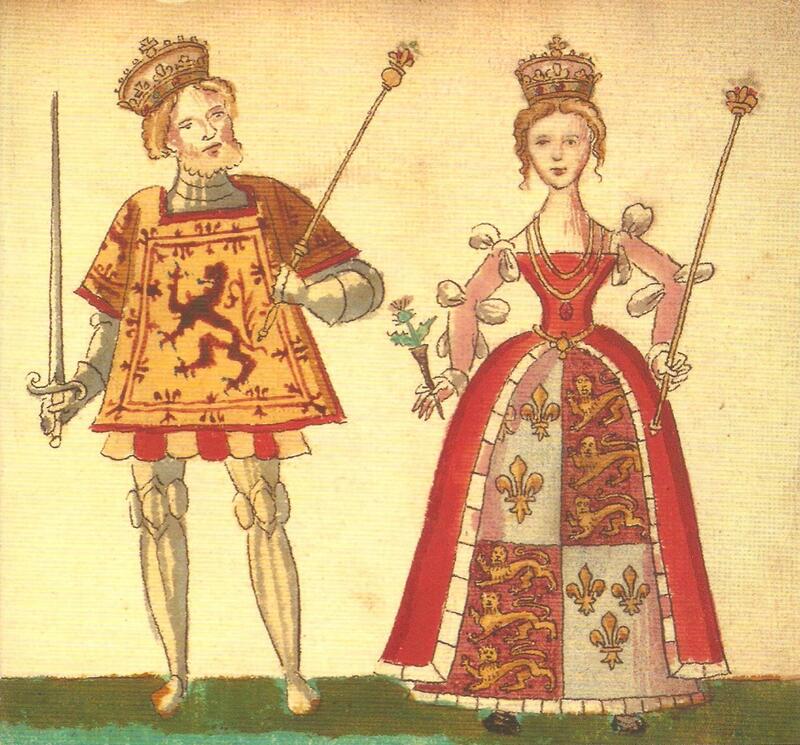 He was the last son of a troubled family, his elder brother David Stewart, Duke of Rothesay, having died mysteriously while in the hands of his uncle, Robert Stewart, Duke of Albany, and Archibald the Tyneman, Earl of Douglas. Rothsay had been arrested at the instigation of his father, Robert III, for misdemeanours against the realm. Whatever the case may be, Albany and Douglas were cleared of any charges. Even though safety was the aim in sending James to France, he was still captured by the English en route to France on 22 March 1406. He was in English custody for the next eighteen years of his life. His father, who was sixty-nine, was overcome with grief. He stopped eating and consequently died on 4 April that same year. In these tragic circumstances, not only was there a child on the throne, but he was a hostage in a hostile country. King Robert’s brother, also called Robert, Duke of Albany, was made governor in June 1406 until such times as James not only became of age, but was released from English incarceration. His cousin Murdoch, Albany’s much older son and the heir presumptive was also in English hands. He was released from English captivity in 1413 in exchange for Henry, heir to the earl of Northumberland. Murdoch took over the governorship following his father’s death in 1420 but was executed at the king’s command in 1425.